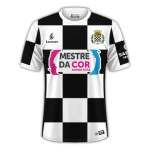 Also where i can send you some pictures of my club (new players) to update? Is anyone else having problems downloading this?? Have tried downloading about 4 times now and every time it gets to about 98% and then says there is a network error and dies!!! Hi Alex, sorry to hear you have dowload problems. Not sure what download you have used. Perhaps you'll find something helpfull on our website. Don't forget to visit the download section as well. 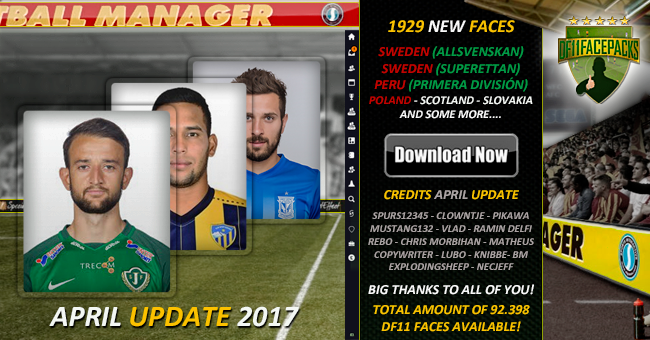 New DF11 panels available for FM17. Thanks for your support Brunkk. What should be the full player count be once this is downloaded? If i have suggestions for new/improved photos, but hasnt got the skills to edit pictures myself, where should i post my suggestions? Looking at your favorite team i think you already found our website. If not then feel free to have a look at the request page. Where do you get access to these images? Best I've seen! 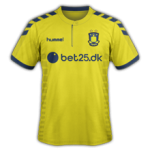 All graphical addons such as logo's, kits and faces work in Football Manager touch. Custom skins made for regular FM career mode will not work in FMT. I have FM 2014,but there are no folders in the order like it should be ,like graphics\ and there u have kits,logo,skin, separate folders. And another thing is always upsetting me... sometimes in the "how to install" there is the first folder Dcuments \ Sports Interactive \ Football Manager 2014 but sometimes its the MyDocuments\Sports Interactive\Football Manager 2014....this are not the same,and the outcome will be different...or am I wrong? It is the same which Folder extract to ?? One day I discovered a hidden secret/passion...a game named Championship Manager. But, it's not just a game...it's more, way more! Now...after more than 10 years, that same game in the past is now much better, improved...only under a different name-Football Manager! Because of the Best game ever, I still play this incredible Game...in fact, it's the only game I play. The documents structure can be different, but the Football Manager 20** folder will always be located there. Ipak,za one koji kupuju originale Football Manager,svake godine,ili druge za tako visoku cijenu bilo bi fer da već jednom Football Manager 2xxx bude kompletan,sa svim licenzama kao što ima igrica Fifa 17.tj,da ljudi NEMORAJU svaki put toliko toga naći pa doawnloadati...od obićnog logo cluba,dresa,face,itd. It is time !!! 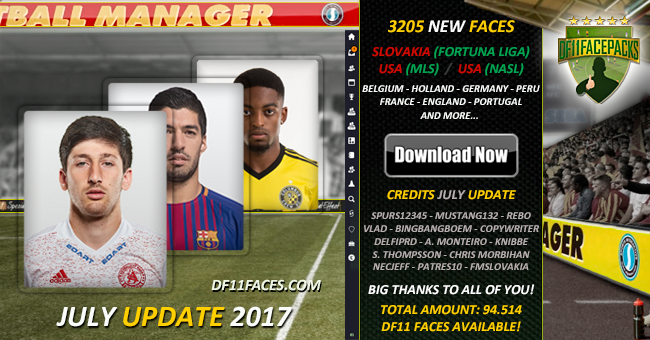 NEW UPDATE PACK AVAILABLE TO EXPAND YOUR DF11 MEGAPACK UP TO 92.300 FACES. Hey @mons, Not sure if this extension error was already there from beginning in FM? Thanks for your support and all you do for the amazing cut-out project and Sortioutsi. 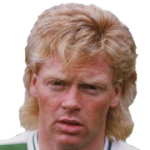 To me you are one of those FM legends in the community for a long time. That's an offer i can't refuse. I would really appreciate it! 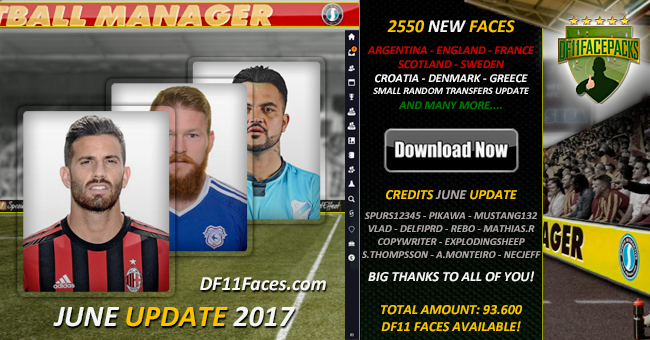 New update pack available to extend and refresh your current DF11 Megapack. Special thanks to the Sortitoutsi staff for allowing me to share the DF11 faces here as well for so many years. Please update your DF11 Megapack on a monthly base following all the monthly update packs in order. Try to download from our website. There are 3 download options available. Downloaded the megapack but it's still missing a lot of images?! When I've downloaded in the past its been very comprehensive. Please follow the install instructions on the website to see what went wrong. Is there torrent with the all your update ? I've just downloaded face pack but can't find it anywhere. How do I do this? is there a download link for the template so that we can add faces ourselves?